Hurricane Harvey was stirring up in the Gulf of Mexico with his eye set on Texas. I had spent the past two weeks sitting in professional developments and prepping my Industrial Technology lab in preparation for the return of my students’ first day of school the following Monday. On my lunch break, I attempted to go to a nearby grocery store to get water and essentials just in case. This was no Bueno! Shelves were empty and lines were hellishly long. UUUUGGGGHHHH! On that day, officials had yet to call a mandatory or voluntary evacuation for the area which my children and I reside in (Houston). At some point in the night, my employer decided to give us a half-day work day on Friday. This was just in case we needed to brace for Harvey. At this point, Harvey’s path was still uncertain. Harvey brought about much anxiety in me. 12 years ago, my hometown of Beaumont, TX was heavily impacted by Hurricane Rita. In a few hours time, Rita changed my family’s status of a resident to displaced evacuee. I quickly recalled how Rita made a last minute turn for Beaumont. I remembered the 24+ hours worth a traffic during evacuation for what was essentially 8 hour trip on a good day. Rita brought about so much setback for many, including myself. I made a decision that I didn’t want to stay behind to ride out Harvey. We lacked water and the bare necessities needed. 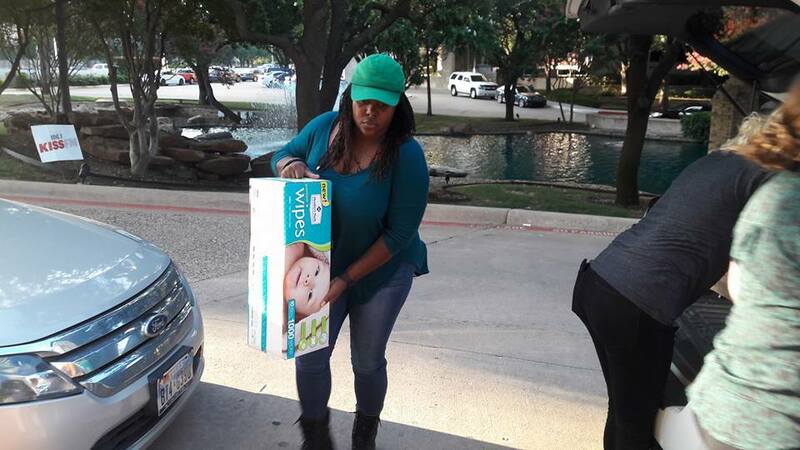 For that reason, Gabrielle and I, another single mom who I initially met on Facebook a year ago, loaded up our 4 kids (my three plus her one) and a dog and made our way up north to the Dallas/Fort Worth area to seek shelter. The evacuation along brought about many woosah moments. From a dog with diarrhea to me trying to talk a young pantless, autistic sweetheart, down from the McDonalds playground tunnel while his frustrated mom sat on the verge of a breakdown as he smeared feces across the play area. Hours later, we made it to Fort Worth and the kids and I was dropped off at my mother’s house where we were ready to sit and wait it out. It happened. As expected, Harvey showed no mercy! It made landfall terrorizing all of the Texas Coast, dropping a massive amount of rain on Houston and the surrounding areas. At this point, I had no idea of the status of our home. All I had was video footage and pictures of the surrounding areas near our home that were totally inundated with flood waters. All I could do was think the worst and pray for the best. I made a decision that I couldn’t watch video footage on CNN of my neighbors wading in flood waters or scrolling my timeline to see an SOS Facebook post of families held captive on their roofs by the rising flood waters. I put out a call to action on Facebook and asked anyone who was in the DFW area to join me for a day of volunteering to help our neighbors. The kids were ready to join in. We had yet to hear the fate of our own homes at this point. All four children made their way to spend the day volunteering with us. While volunteering, I knew Harvey was still reeking havoc on South East Texas and it was set to make its way east towards my hometown. Days later, Harvey was still at it. This time my hometown was the target. After a long day of volunteering, we returned to our place of refuge and I immediately tuned into Anderson Cooper to check for updates. As soon as I tuned in, Becky Ames, the mayor of Beaumont was giving updates on the current state of the rescues. The rain had inundated the streets of Beaumont. I was now watching faces that I was familiar with being rescued via helicopter and streets that I’ve walked down transporting boats. My heart sunk! Anderson asked the mayor “What do you need?” She begins to update him that the shelters needed basic resources. Simple things like cots and blankets. Just the basics! I immediately made a phone call to a local pastor in Beaumont. I wanted to help. Some way, somehow. I explained to him that I had been volunteering at a location Harvey donation center in Dallas and I knew for a fact they had all the essentials Beaumont needed plus more. I told him to give me 24 hours and I would deliver as much as I possibly could. I immediately returned to the donation center to speak with the director. I explained to him the situation and that I was willing to personally take supplies to Beaumont. I just knew in my heart of hearts he would say yes and all would be well in the world. Unfortunately, I got greeted with a “Procedure and Protocol” speech. 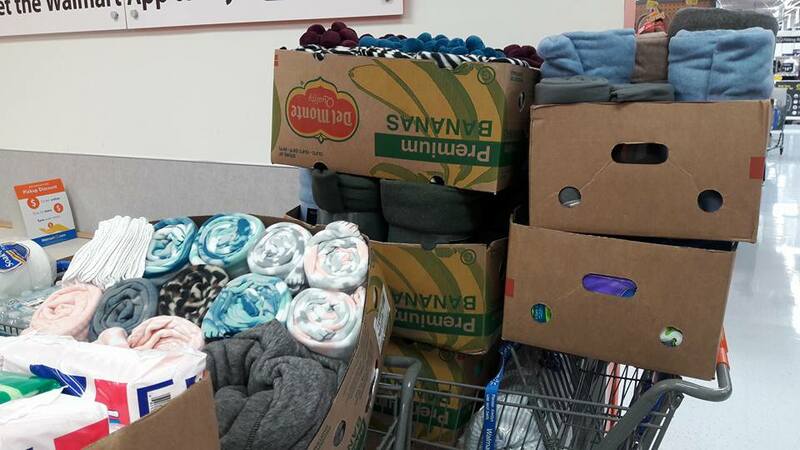 Apparently, these donations which had been sitting in a parking garage for 2 plus days were under the hand of another major organization which I shall not name. gggggrrrrrr! He encouraged me to send him an email and he would see what he could do. In situations of a natural disaster, time is not favorable. Who has time to send off an email and wait for 3 to 5 business days for a response? I get it, protocols and procedures. SMH! I left the facility livid and feeling defeated. I had made a promise that in 24 hours I would have some basic necessities for those displaced in my hometown. Maybe I bit off more than I could chew. On the way home, I recalled the Beaumont mayor saying they needed blankets. Before I knew it, I found myself standing in a Fort Worth Wal Mart price checking blankets. If that big organization wasn’t going to immediately help, I was determined to figure out a way to hold my word. 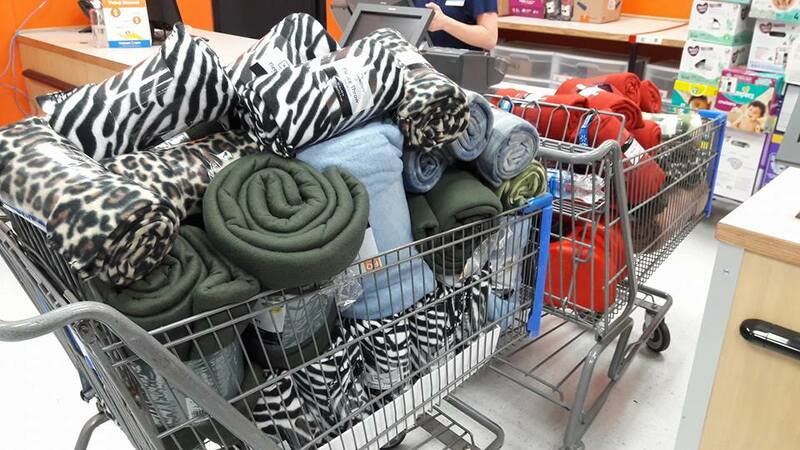 I found myself pulling Walmart associates to ask them how many of this blanket and that blanket they had in stock. With frustration still set, I found myself on Facebook live. My emotions were running rampant. All the memories of my experience with Hurricane Rita revisited me. The hours of waiting in a Fema line to be given a random apartment address in another city because your apartment complex is now inhabitable. The hours on hold with Red Cross because they are trying to help Katrina victims simultaneously. All of it came back. I was hurt. Not before long, I was rambling on Facebook live and consumed with disappointment. If they weren’t going to help me, I decided I was going to use my platform to help my city. In straight infomercial style, I begin selling blankets to whoever decided to watch me do it. I urged people to go to Walmart.com, buy a blanket, use the pick up to store feature and put me as the pickup person. That was it. I had not one single clue what was about to unfold. As the night went on, I begin to receive messages from people all over the world (yes, the world) via Facebook Messenger. Some who were my FB friends and others were literally “strangers”. They were informing me that they wanted to help but the local Fort Worth Walmart was out of stock on blankets. 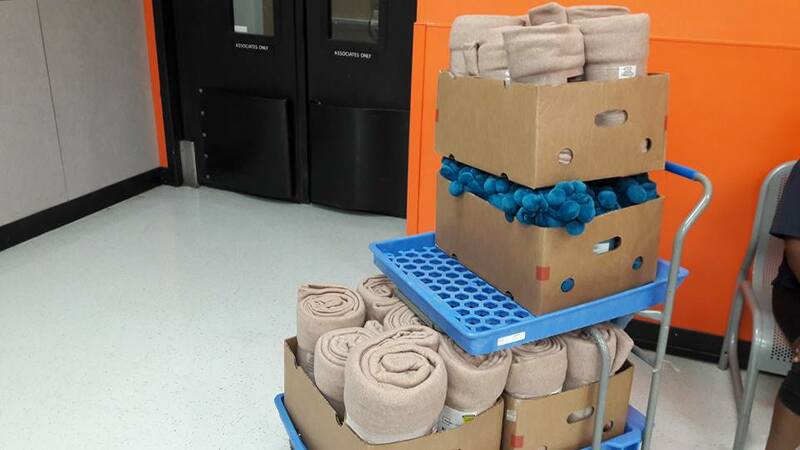 Within hours, we had wiped all the blankets off the shelves. My message to them was “let’s get diapers and wipes, sanitary napkins, heck buy whatever. Let’s wipe the shelves clean!” This was amazing. People who didn’t even know me wanted to help and trusted me to see that their donations reached South East Texas. O. M. Freaking G… In a 12 hour turn around time, we did it. 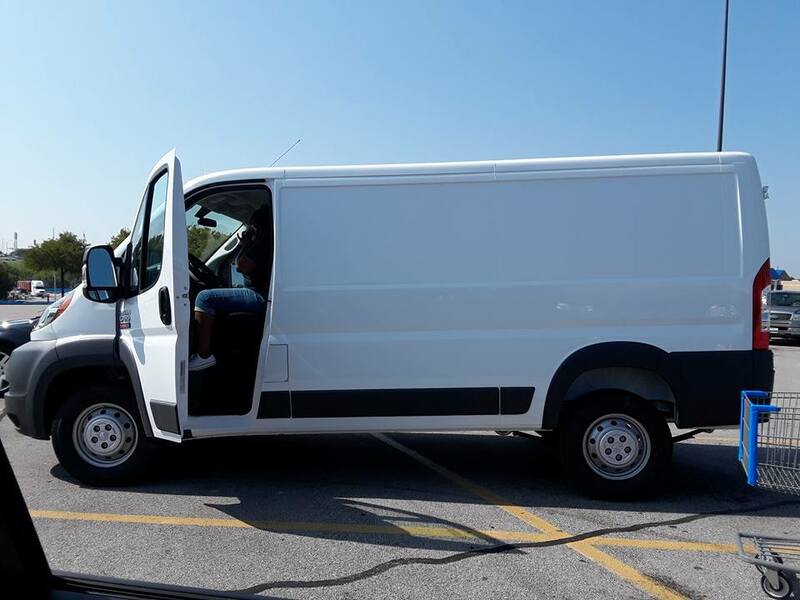 By utilizing the Walmart.com pick up in store feature we were able to fill a cargo van. Donations were ordered from people living in over 6 countries (Vietnam, USA, Ethiopia, China, New Zealand, United Arab Emirates and Mexico). In such a short time, my sporadic Facebook Live rant became a global hurricane relief initiative. That morning, I walked into the Walmart with absolutely no clue of what to expect. I must admit that at no point was this a one-woman initiative. From the day I evacuated Houston, this was a team effort. The team at Walmart #1455 lead by Assistant Manager Kristen Prater were a Godsend. I am sure they had never experienced such a situation, but they truly went above and beyond for the cause. AM Kristen Prater at Store #1455 in Fort Worth, TX deserves a promotion. She ROCKS! Also, a big Thank You to my Nomadness Travel Tribe family who also added donated items to our cargo van. The day was just beginning. All morning, I had been receiving messages that my hometown had become an island. There apparently was no way in and no way out. Residents were trapped in the flooded city of Beaumont. I was advised that maybe it would be best to try again the next day if the water recedes. Of course, my Aries stubbornness kicked in aka determination. I made a promise and come hell or high water I was going to see it through. Thankfully, my longtime friend and fellow Houston evacuee, CJ, offered to make the trip with me. After hours and hours of vigilant driving and navigating, as the sunset, we reached the high waters everyone was talking about. Nausea hit the pit of my stomach. It was the feeling of seeing homes that would be deemed a total loss. It was a feeling maybe I really did bite off more than I can chew this time. 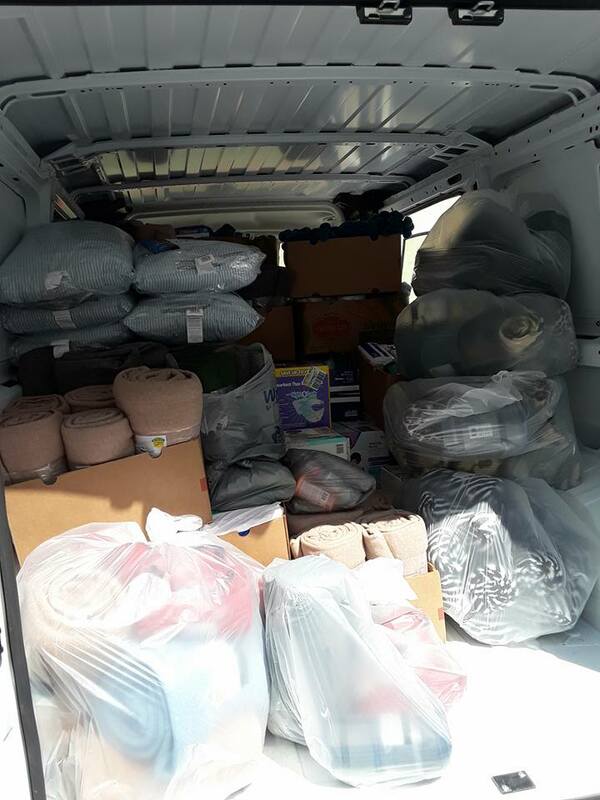 It was a feeling of who the hell did I think I was to try to save the world with a cargo van full of blankets. I wanted to puke! People believed in me and trusted me and in that moment I wanted to freaking puke! Fortunately, I wasn’t alone and I wasn’t driving. We forged ahead, my heart sinking each kilometer down Highway 90 that we drove not knowing when we would reach dry land again. By his Grace….. WE MADE IT! Not too far off from my 24-hour deadline, we pulled into a local Beaumont church to deliver the donations. So you would think after wanting to puke and driving through high waters that technically should have been deemed impassible, I would be done. Welp, I wasn’t! I realized that I had a social media platform that allowed me to facilitate a global relief initiative to help my hometown. People weren’t through giving. Friends of friends were reaching out from all over asking if it was too late to contribute. How could I say no? While back in Fort Worth, with crud still in my eyes and morning breathe not far past from my tongue I went back to Facebook Live to put out another Call to Action to help Southeast Texas. This time I wanted to make it bigger. 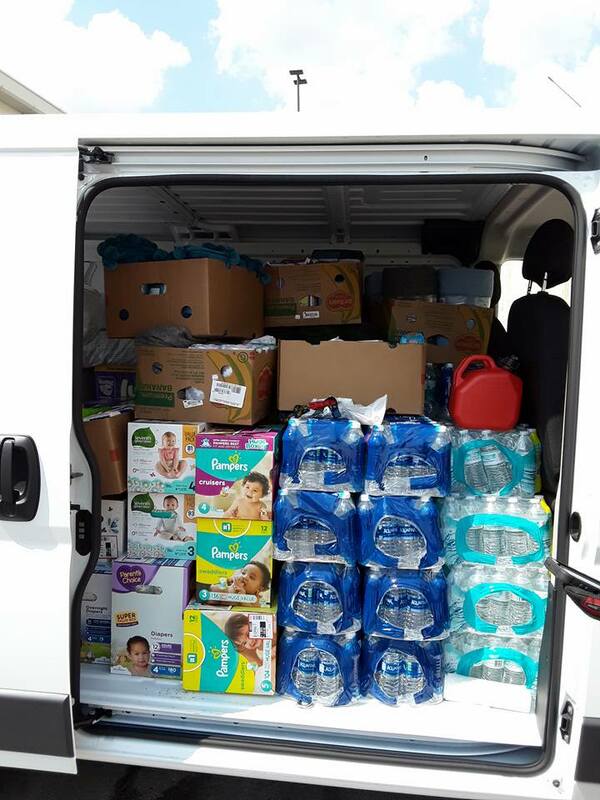 I was determined to fill a 26-foot truck with donations. Did I have a 26-foot truck? uuuhhh no, but I had faith in God, humanity and myself. I knew that everything would work in my favor. Not long after posting the second call of action, I received an FB message from a Penske employee who was also a Beaumont native, like myself. Minutes before I had spoken up a 26-foot truck and now I was being offered one at an amazing discounted rate. Now that I had a 26 foot truck, who was going to help me navigate that massive vehicle. As you can see, I’ve been completely winging this entire mission at this point and solely relying on my Facebook network to help me make connections. So of course, I went to Facebook to seek if anyone wanted to assist me in driving from Fort Worth to Beaumont the next day. And because Facebook is Facebook, I had offers pouring in within minutes. In comes a direct message from another Beaumont, TX native Jamie Brown. I met Jamie 10 plus years ago when we both worked for the U.S. Census Bureau. As years past, our lives remained visible to each other only through social media. Jamie immediately offered to drive 4 hours from his current location in Shreveport, LA to meet me in Fort Worth then drive another 5 to 7 hours to Beaumont to help me deliver the donations. For me, that was too much to ask of a person who I hadn’t spoken to in years, but he insisted that he wanted to help. It didn’t take long before Jamie devised a plan. Jamie and his Louisiana family wanted to also help. His cousin owned an 18-foot trailer and wanted to bring in donations from Louisiana to assist with the cause. We figured that we could find a midpoint to all link up and caravan to Beaumont from there. We did just that! Time to see out Call to Action #2. Penske Truck picked up (check)! 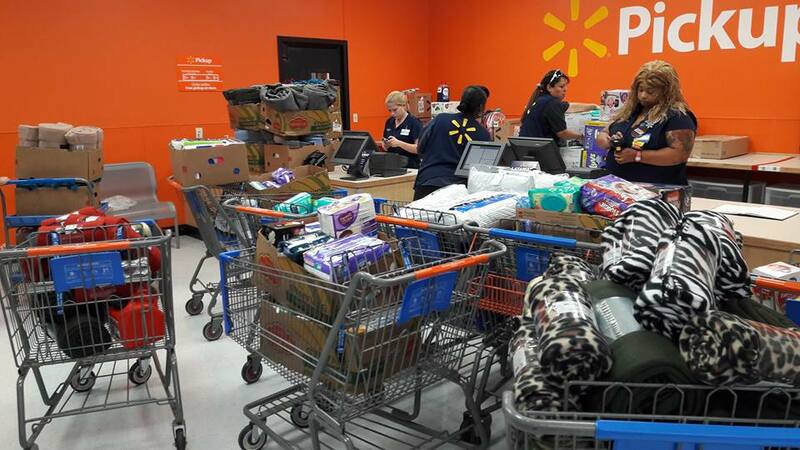 Now time to see if we received enough donations in less than 24 hours via WalMart.com to fill the truck. I felt so accomplished whipping that 26 foot truck through the Fort Worth interstates by my lonesome. 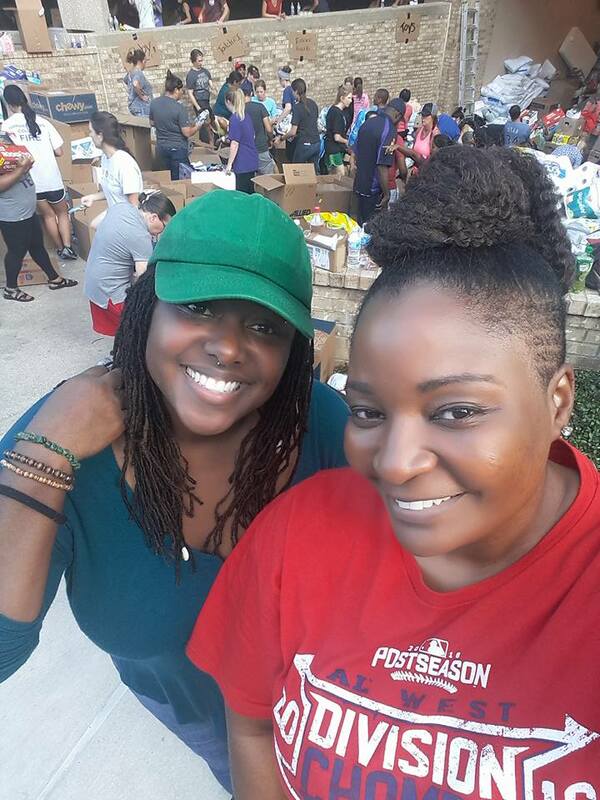 First stop was a boutique in the DFW who had also collected supplies and donation and wanted to help Southeast Texas. Next stop, Walmart! The amazing Walmart assistant manager promised me that she would come in on her day off to ensure everything went off without a hitch. Total sweetheart, I tell you. ( I vote Kristen Prater for Walmart Employee of the Year). With my stepdad, my Wandering Mom friend Juliette and our good friends at the local Fort Worth Walmart, we begin loading the 26-foot truck. Any-who, we did it. In less than 24 hours, we garnered enough donations mainly via Walmart.com to fill the 26-foot Penske truck. Once loaded, it was time to meet up with Jaime and family approximately 2 hours away in Madisonville, TX. I was extremely pleased to see that in only a few hours they were able to hustle up a trailer full of donations from people in Shreveport. We made an overnight pit stop to my home right outside of Houston. This was actually my first opportunity to confirm the status of my home after the storm and sleep in my own bed. Praise him! All was well. Up and at em’. Before we could hit the road to Beaumont, we had more donations to pick up. Through a Facebook friend, I was connected with the pastor of the Cathedral of Hope church in Houston. The members had put together cleaning kits and wanted to get them to victims of Harvey. Eventually, we made it to Beaumont and our first stop was a water drop. For one reason or another, the City of Beaumont had to shut off the city’s main water supply to all of its residents for an extended period of time. Which meant no water to cook or bath with. We had pallets of water that needed to get distributed to the residents. We partnered up with Pastor Carlton Sharp of Faith Christian Center Church and his members in Beaumont to assist with getting the pallets of water we had off the truck and distributed at a location in the North End of the city. It was an impromptu drop that was advertised to the resident solely through utilizing Facebook live. After dropping the majority of the pallets of water we had, we decided that we wanted to go into the neighborhood to offer aid to those who may not have transportation to get to donation centers but still needed our assistance. 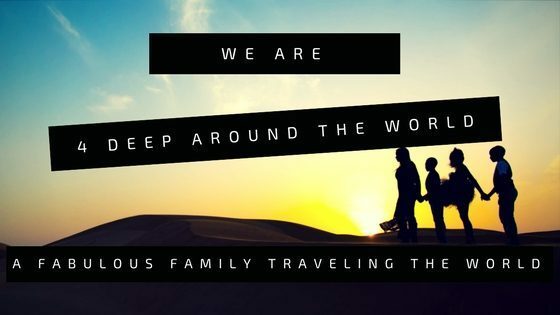 Via Facebook, we asked people who were without transportation to send us their names, addresses along with immediate needs that we could fulfill. I was able to call on some of my high school classmates to assist by being runners and bringing supplies to those in need. We pulled into a church parking lot in my old neighborhood and begin putting together care packages and utilizing the runners to get them to each family. As we sat in the parking lot, families would drive or walk up and were given access to whatever we had available on the truck that they needed. I just knew that after having a 16 hour work day, the mission would be complete after this last drop. 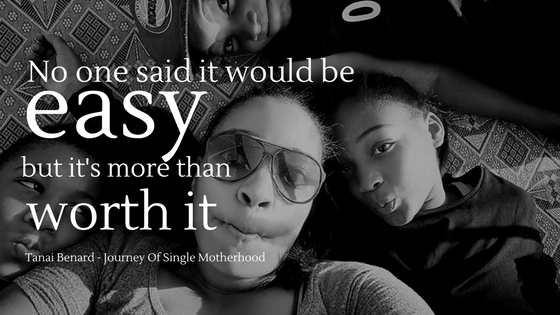 I would return the truck, the relief efforts would come to an end and I could go back to my life of single motherhood. Well, not just yet! While all of this was going on, I was tagged by yet another FB friend in a post. The post was made by a Crossfit gym in Houston looking for people with box trucks to transport donations to the Beaumont/Port Arthur Area. How could I ignore this post? I mean I did have a 3-day rental on a 26 foot truck, so making another run between Houston and Beaumont wouldn’t hurt. I commented on the post that I would be able to assist if needed. I was immediately put in contact with Adam of SpindleTap Brewery in Houston. I told Adam, who I was and what I was trying to accomplish. He asked me the question that by this point I had been asked many of times, “What organization are you working for?”. I explained to him that I was just lil ole me and did not have an organization attached to my name. He could have easily turned me away because I didn’t possess a 501c or the backing of a major organization but he didn’t. For that I am appreciative. Today, Jamie and family returned back to Shreveport. They have been more than a blessing to the mission. It was time for me to roll solo to meet Adam and retrieve more donations from his warehouse. I had no idea what to expect or how much he would allow me to transport. I arrived at a warehouse filled with relief supplies and was greeted with a “get whatever you need”. I could have broken down in tears in that moment. 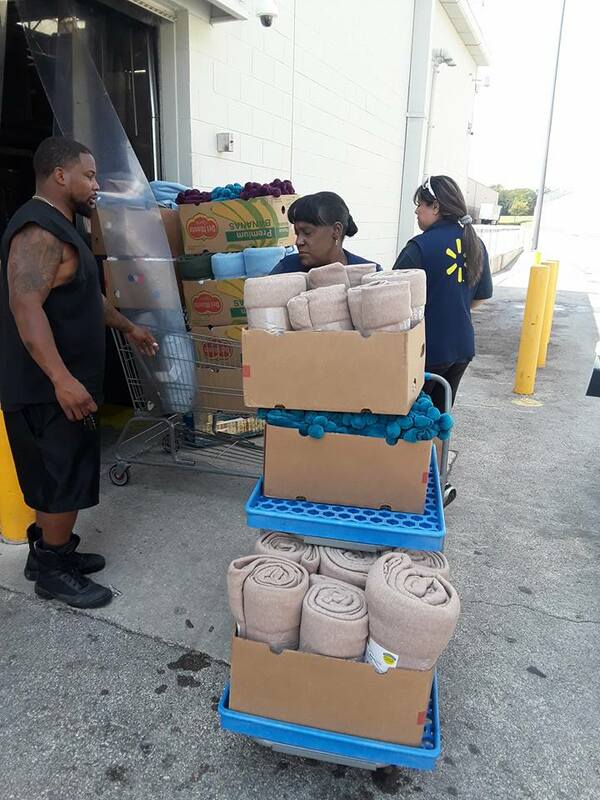 Just to know that a few nights prior I was hustling blankets for those affected via Facebook live in a Fort Worth Walmart to now standing in a warehouse in Houston being told to take whatever could assist my relief efforts. Talk about overwhelmed to the max. Before leaving, Adam told me to come back as much as I liked and get as much as I needed. Say what now!? Before I left his parking lot, I made a phone called and secured rentals on 2 more 26 ft trucks. I wanted to fully take advantage of getting as much relief to my hometown as possible. Solo, I made the 2-hour drive to Beaumont to drop the first load. But wait, I just secured 2 more trucks for a total of 3 trucks on the road. Uuuumm Tanai, who is supposed to drive the other two trucks for you and be willing to give up half their day at the drop of a dime? Like I said before, most of this was pure impulsive get ‘er’ done actions with limited think through. Back to Facebook to find drivers because FB has yet to fail me. Within minutes, I had three drivers ready to go. That’s right three because I was exhausted and grateful a third person offered to assist. Back on the road to Houston, we go. 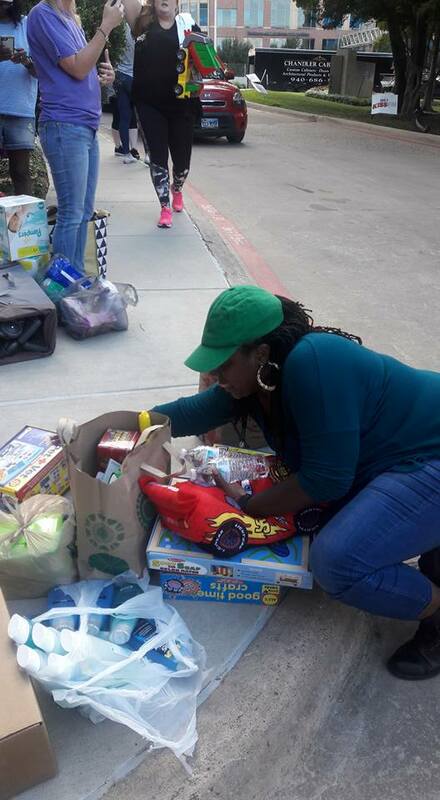 This time we were able to load all three trucks and distribute them to donation centers throughout both Beaumont and Port Arthur. So I thought to rent three Penske trucks and making four hauls to Beaumont and Port Arthur would be grounds to call it quits. At this point, thousands have been assisted from the efforts. Of course, another Facebook friend reached out. He wanted to know if I was interested in securing a semi truck to load more donations on. I was stunned like “OK God, I’ve gone from securing a cargo van to renting three Penske trucks to now a whole freaking semi truck. You’re kidding, right?” It was at this point that I accepted that I was merely a vessel that God was using to help his people. He already had all of the right players lined up to assist me to see the mission through and allow it to grow. Even after all my social media friends had done and given up to this point, folks from afar were still eager to assist and give. Being that my campus was about to return to normal sessions, I knew I couldn’t continue to travel up and down the highways as before. I needed to shift my immediate focus to the needs of my students. Some who were also affected by the floods of Harvey. I decided that utilizing the Amazon wishlist feature would be the best option. 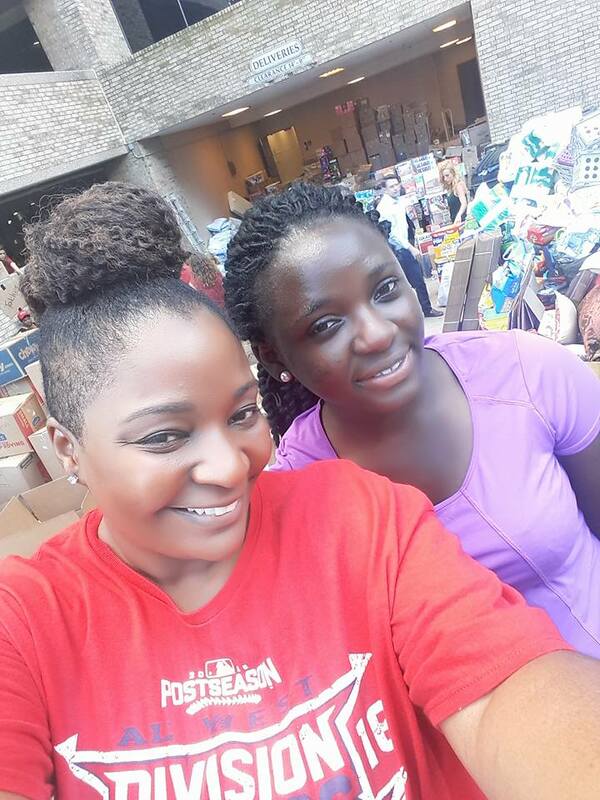 Via Facebook, we asked families that were affected to submit a list of their immediate needs. All items were placed on an Amazon wishlist for anyone with the link to view. 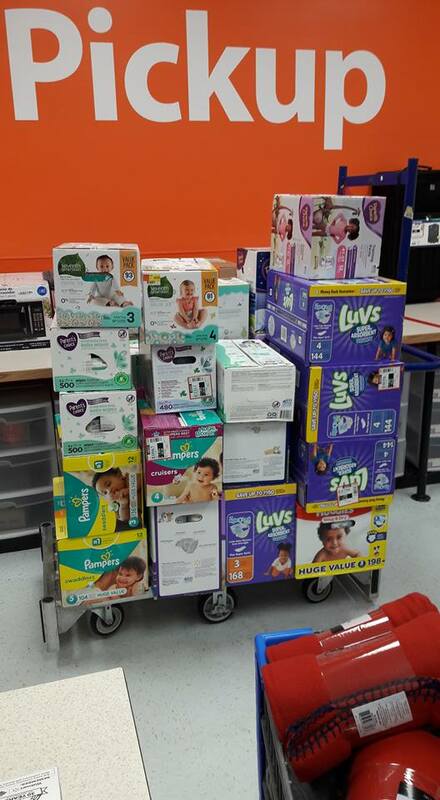 Those wanting to help were giving the opportunity to purchase whatever they would like for each family. 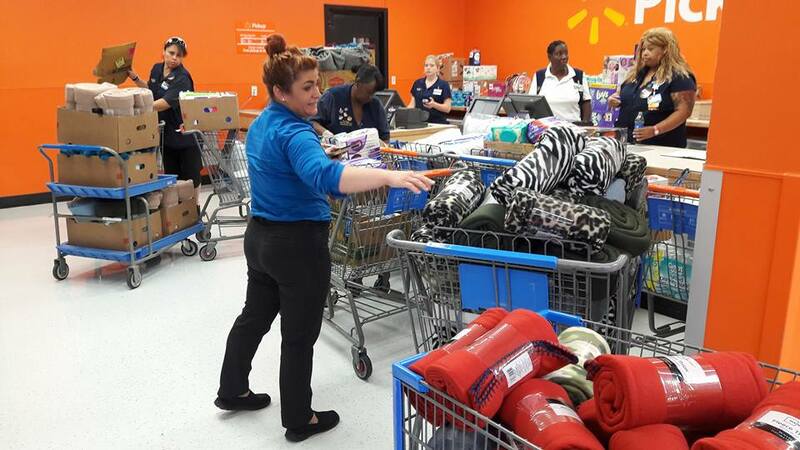 Through the Adopt a Family Amazon initiative, we were able to partner with Facebook Groups like Good Tree Patrons Club whose members made monetary donations within their group. 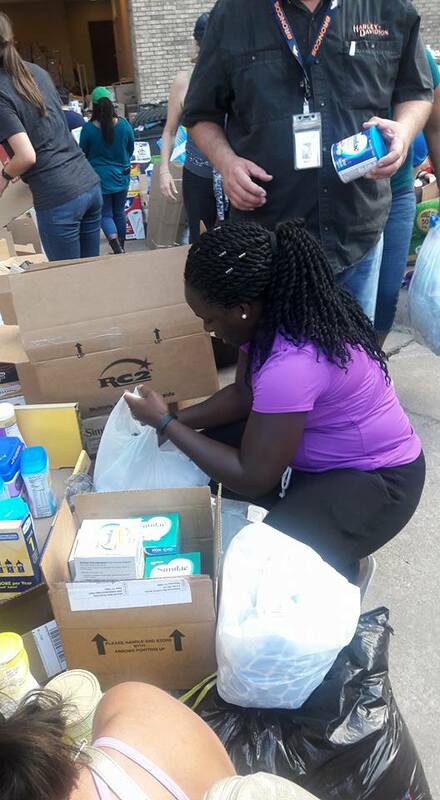 With the donations, the group’s administrator, Terrence Briggs, was able to purchase thousands of dollars worth of school supplies, school uniforms, underwear, socks and other necessities from the Amazon wishlist. Because the generosity of all was so amazing, not only were we able to assist individual families, but we were also able to support students at a three local schools with uniforms, backpacks and/or school supplies. The semi was leased and ready to go. Adam at SpindleTap Brewery was still allowing me the opportunity to load as much as I needed to transport to the Golden Triangle area. Even days after Harvey passed and the water receded, recovery efforts were still at a snail’s pace and major relief organizations appeared to be slow on the draw. We loaded up the flatbed and made drops to two donation centers in Beaumont. This was officially my last large-scale donation run. I was exhausted. My body was fatigued from the hours of driving and loading and unloading boxes. I was mentally and emotionally drained. While alone, many times I cried while praying. I can attest that being on the front lines, seeing the devastation and interacting with those who have lost everything in the matter of a few hours is gut-wrenching. I now had to re-focusing my attention onto my own children, my students, and the Adopt A Family Amazon initiative.